Box hedges are a common sight. And for a good reason. 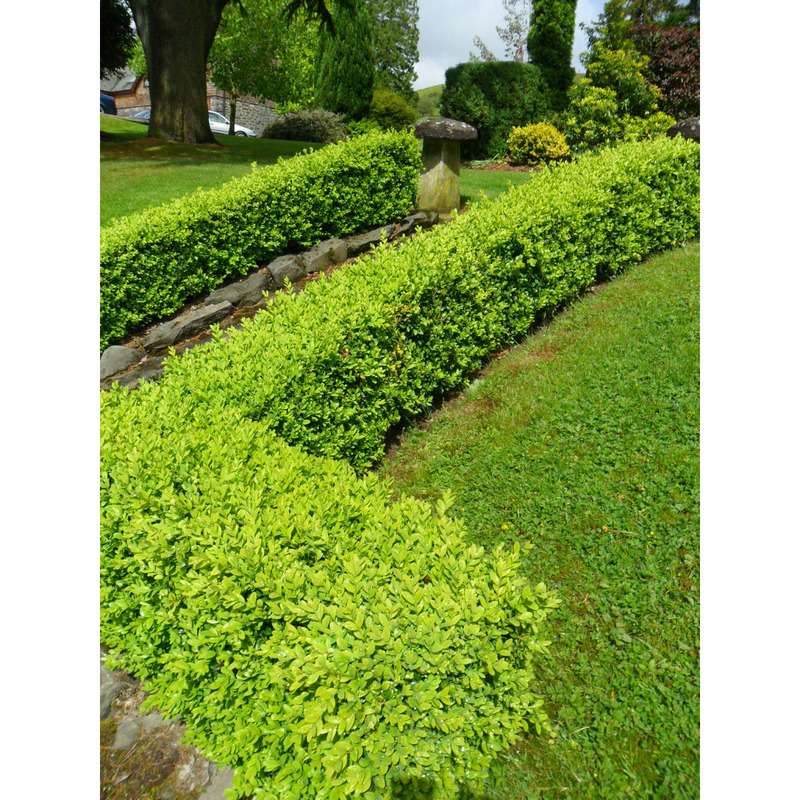 These bushes are one of the most popular in the United Kingdom for their hardy nature. Being one of the rare native evergreens, this hedging plant is preferred by Derwen Wholesale customers for formal low hedges and topiary. Box hedge, or the buxus sempervirens, is a bush with small, dark green, glossy and leathery leaves, which give a sweet smell. The small leaves create a dense shrub which makes it easy to be trimmed and create classic topiary shapes like ball and cone. The buxus hedge sprouts small, beautiful, tufty yellow flowers in late winter. While it may be a slow-growing hedge with a growth rate of about 10 to 15 cm per year, it is highly resistant to the weather in the UK, can grow in shade as well as in most soils, including chalk. So if you‘re looking for a robust low-growing hedge, box hedges are a great choice. The boxwood hedge is quite affordable, with the cheapest options starting from £1.44 at Derwen Wholesale. We offer the rootballed buxus, 2L and 3L pots Buxus and rootballed pallets for hedges as well as the ball and cone shapes for topiary. It is worth mentioning here that while the topiary is not cheap, the work that goes behind creating the shape and maintaining the plant is extensive. The topiary plants are very mature and have been meticulously cared for, for several years. In addition to this, every single topiary pot requires regular repotting, feeding, watering and weeding. Not to mention up to 30 separate trims to create a good topiary shape ready to be handed over to a new owner. Why Choose the Box Hedge? It can be used as a medium hedging screen as well as a low border in your garden. Here at the Derwen Wholesale, we offer various sizes of box hedging plants that you can choose from. If you wish to learn more about the boxwood hedge or other low growing hedges, talk to one of our experts at (01938) 553015 or shop online!